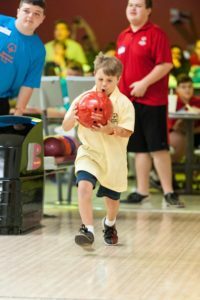 North Florida School of Special Education offers a variety of clubs and extra-curricular activities for our students. 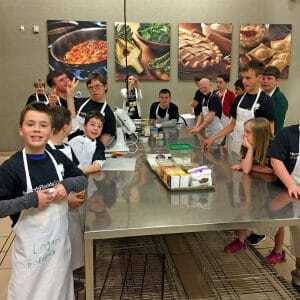 As a frontrunner in the field of Reverse Inclusion, our clubs are often spearheaded by and involve typical students and adults alongside our students and young adults with intellectual and developmental differences. The Bolles School, St. Mark’s Episcopal School, Christ’s Church Academy, St. Johns Country Day School, University Christian, Jacksonville University, Episcopal School of Jacksonville and University of North Florida all partner with NFSSE in our enrichment activities and club offerings. 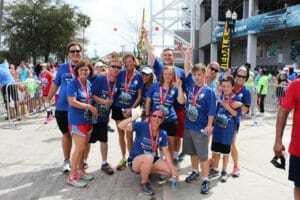 The following enrichment programs and clubs are available to North Florida School of Special Education students: Bolles Buddies and Spartan Scene; Running Club; Capernaum Young Life; Fitness Club; Tuesday & Thursday Club; Never Say Never River Run Relay; Swimming Club; Special Olympics; Gardening Club; Yoga Club; Photography Club; and Culinary Arts. At NFSSE, we are fortunate to receive the support necessary to breathe life and passion into each of the clubs we offer our students outside of school. We work tirelessly with our partners to ensure that the clubs at NFSSE are impactful and help to shape our students into the best versions of themselves every day by encouraging awareness and positive choices. We also focus on consistent enrichment activities both inside and outside of the classroom. Class field trips are designed to enhance and stimulate the learning experience for our students and include destinations like The Cummer Museum of Art & Gardens, The Museum of Science & History, The Jacksonville Zoo & Gardens, Jacksonville Arboretum & Gardens, The Jacksonville Library, Museum of Contemporary Art, Marineland and City Hall. Monthly school-wide assemblies feature visiting musicians, authors, artists, animal encounters, biography studies and cultural fairs. At every touchpoint, we strive to enhance, empower and enlighten our students and provide them with unique opportunities to grow and develop, both individually and together.